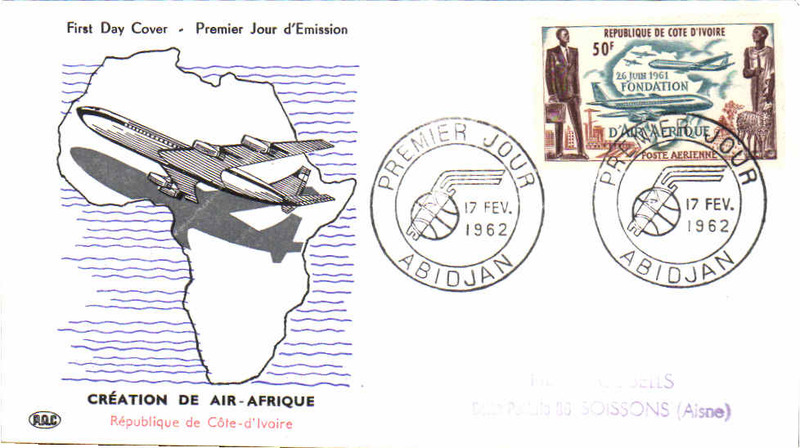 Air France/Aeromaritime, into Boroum, Ivory Coast, via Abijan 27/7, airmail etiquette cover correctly rated 65c overseas postage and 4F airmail surcharge (10g), Flown by Air France to Dakar and then by Aeromaritme to Abijan and on to Bouroum. 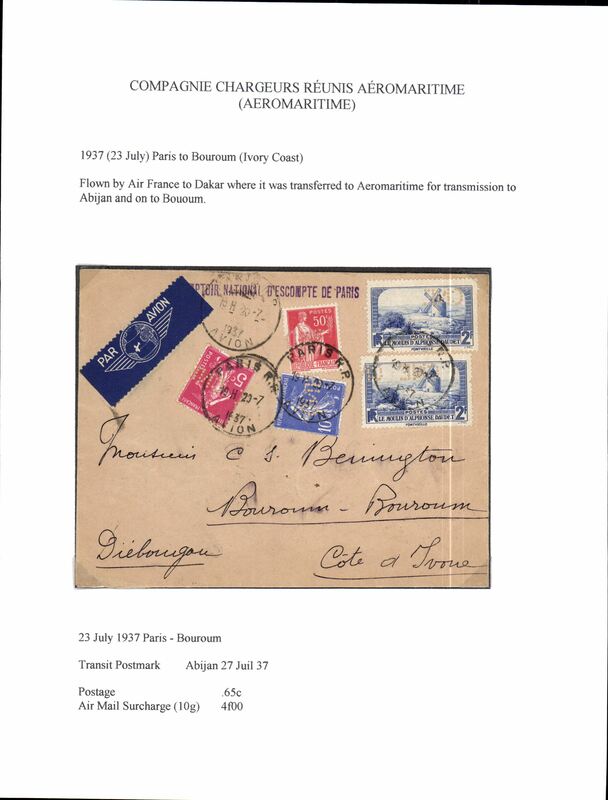 Written up on exhibition page with nice route, airline carrier and postage rate documentation. 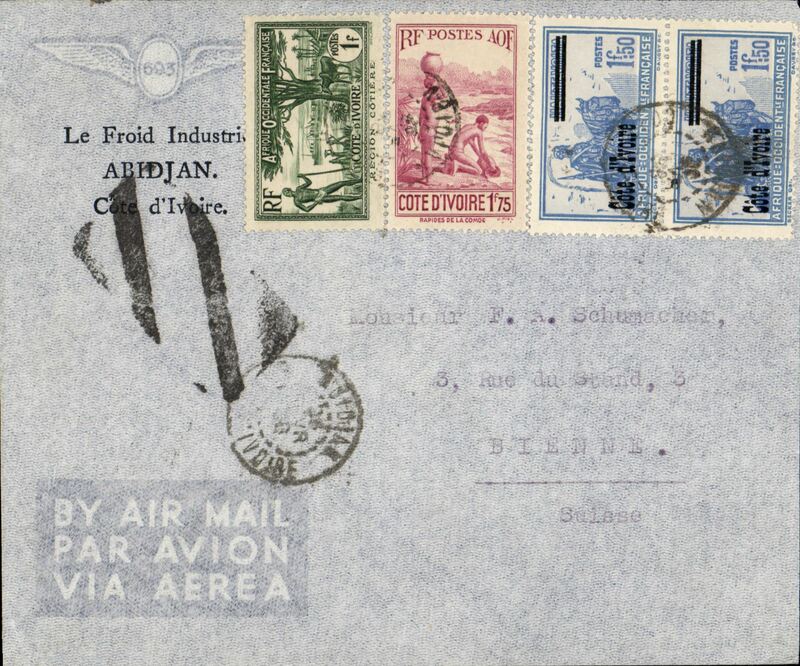 Ivory Coast to Switzerland, Abidjan to Bienne, correctly franked 1F75 postage + 4F air surcharge, Flown Abidjan to Dakar by Aeromaritime, on to Marseilles by Air France then surface to Bienne. 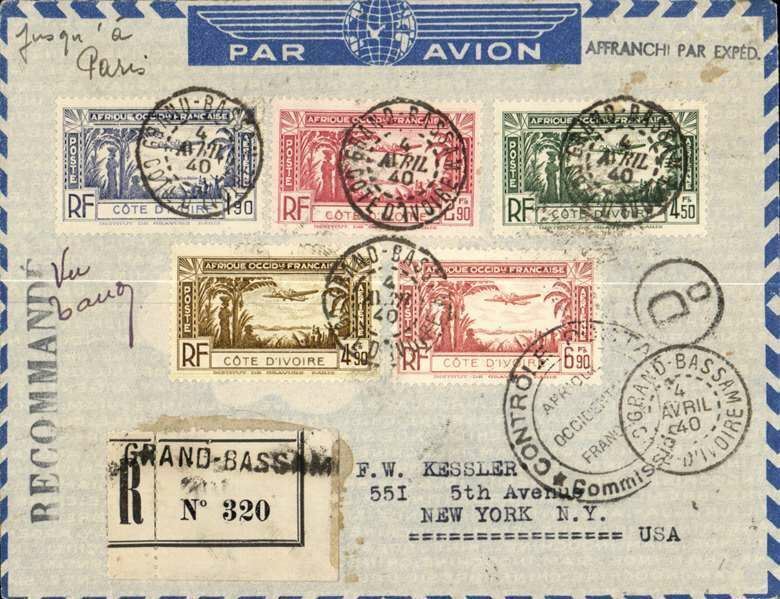 WWII censored airmail from Grand Bassam to New York, bs 21/5, via Abidan transit cds, registered (label) blue/grey Air France cover with logo on flap, franked complete set of 1940 airs, "Affranchi Par Exped" cachet, ms 'Jusqu'a Paris, black' D/0' in small circle Ivory Coast and large black circular 'Controle Postal/Afrique Occidental Francaise/Commissiion *' Airmail to Paris, then sea to New York. 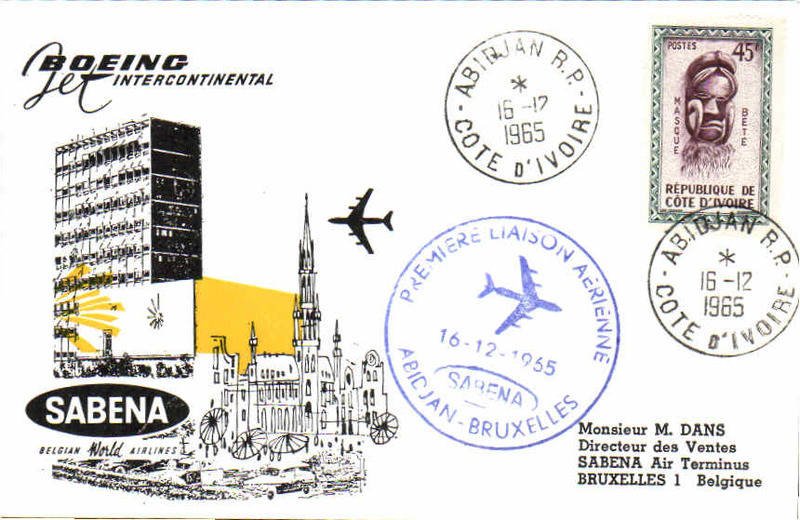 First jet, Abidjan to Brussels, b/s, cachet, souvenir Air cover, Sabena.